With little over a week until launch, developer Avalanche Studios has unveiled the final dev diary for Just Cause 3, shedding yet more light on player freedom and exploration. Trumpeting the power of the studio’s proprietary engine, the footage showcases the ways in which players can approach the game’s sprawling open world, with Rico Rodriguez’s grappling hook and wing suit being of particular interest. It’s a tantalizing glimpse at the studio’s sequel, all layered with that trademark Just Cause destruction. 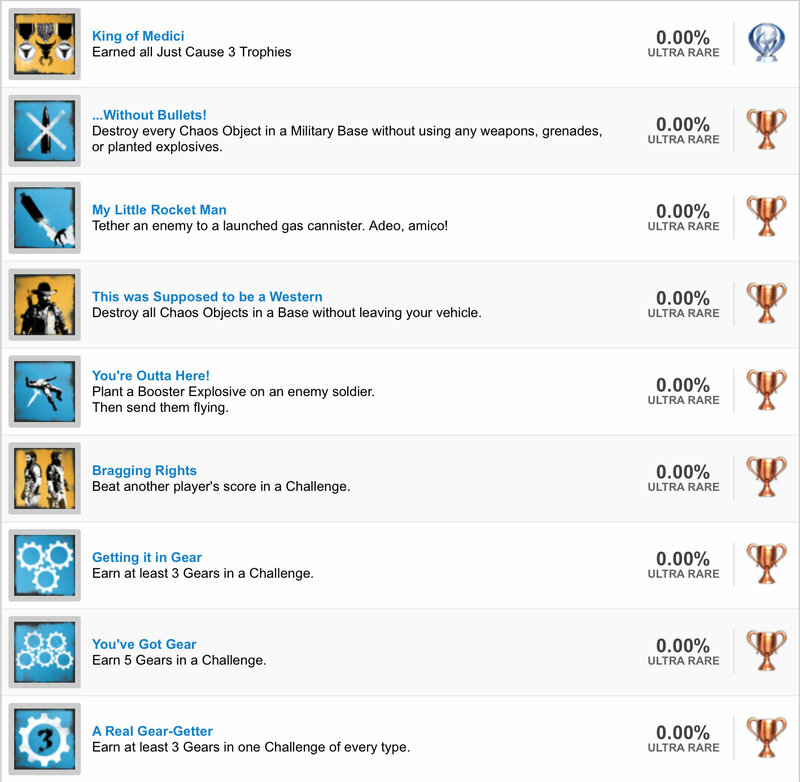 In related news, PSNProfiles has unearthed the full Just Cause 3 trophy list. Encompassing 48 trophies in total, the details of which can be found in the gallery below. Be warned, though, the descriptions of some accolades may be considered spoiler sensitive. Just Cause 3 will rappel onto PS4, Xbox One and PC on December 1.